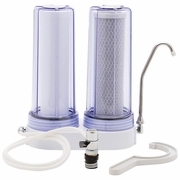 Features clear filter chambers, CTO carbon filter, PP filter, wrench, and diverter valve. PP filter removes dust, rust and sediment. CTO filter removes chlorine, heavy metal ion, chemical pollution, bad odor, and taste. 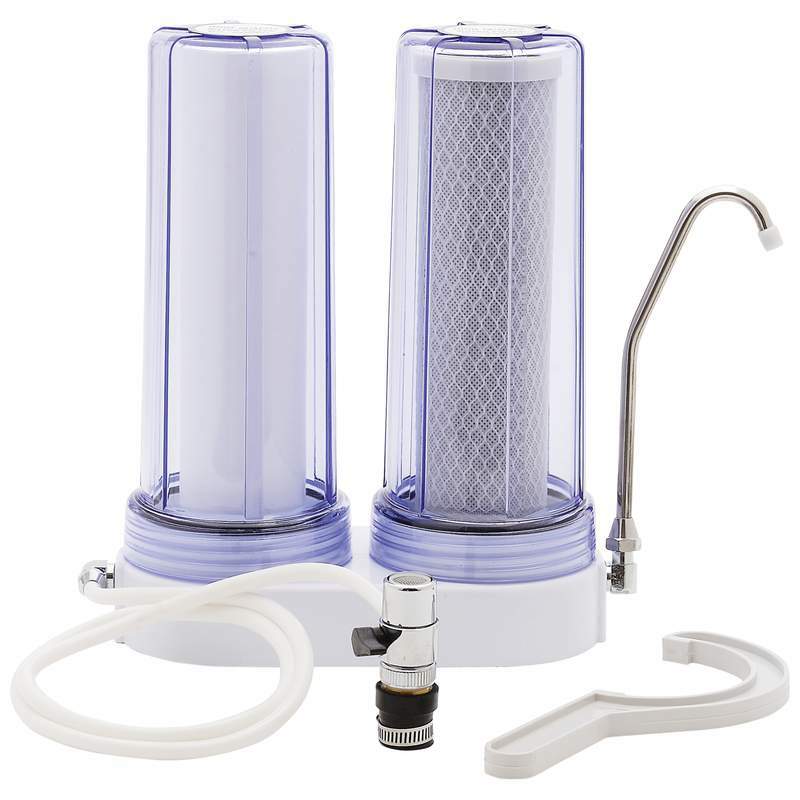 Both filters remove molecules larger than 5 microns.